June V. Switzwer, 98, of Toledo, OH, passed away, Thursday, September 13, 2018, surrounded by her loving family at the Ebeid Hospice Residence, Sylvania. She was born to parents George and Mary (Stafford) Walters in Wheeling WV, November 24, 1919. June retired from Ohio Bell as an Overseas Operator, after 35 years where she used her organizational skills. 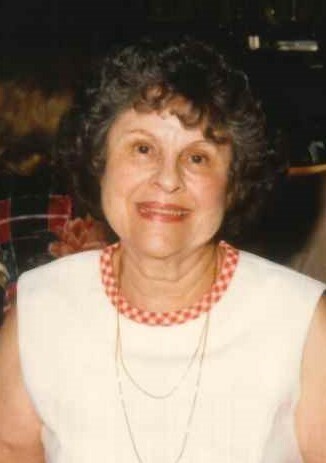 She was an avid Cleveland Indian Fan and loved working in her garden, especially growing roses. June is survived by her sons David Switzer and Thomas (Monica) LeBowsky; granddaughter Jennifer Switzer and great-grandson Christopher. She was preceded in death by her husband Alton; daughter Marysue; and brothers Orville and Lowell Walters. Graveside services will be conducted Wednesday September, September 19th at 10 AM, at Toledo Memorial Park. June’s life will be celebrated at a later date. Those wishing to offer memorials in June’s memory are asked to consider the Ohio Bell Pioneers or Boys Town. June’s family would like to thank family friends Tim and Deb Guzman, caregiver Pennie Horn, and the staff at Ebeid Hospice for their dedicated care.